A perfect partner to accompany you as you go, see and conquer this year comes from Graf von Faber-Castell’s Pen of The Year annual collection. 2018’s edition celebrates one of the greatest early civilisations, the Roman Empire, with the stunning Imperium Romanum Pen of the Year 2018. 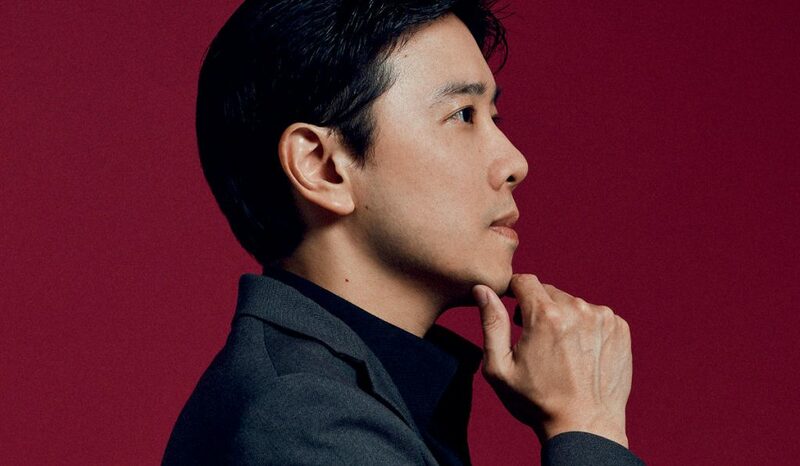 Honouring the heritage of Rome that spanned centuries and three continents is no easy feat, but this particular chef d’oeurve of an instrument certainly is something to write home about. Each piece is handmade and fashioned out of unusual materials that reflect the Roman era, showcasing marble and gold paired with delicate patterning for a look of fine elegance. 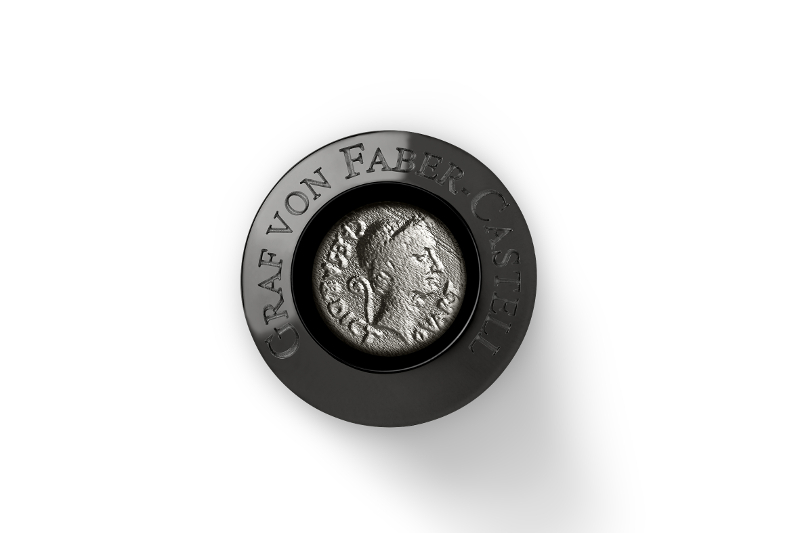 The pen cap is topped with a miniature denarius, or Roman penny, modelled after a rare silver coin from 44BC that depicts Caesar’s head. The marble used on the barrel is remarkable as this pen’s body is made out of statuario marble, a strain that is prized for its fine-grain and bright white colouring. Statuario marble was the material of choice for art history’s most talented sculptors and is the marble that makes up one of the world’s most famous sculptures, Michelangelo’s David. Platinum-plated rings decorate the marble barrel, engraved with the laurel wreath that symbolise fame and fortune, while the cap is topped with an image of the great architectural icon, the Colosseum. 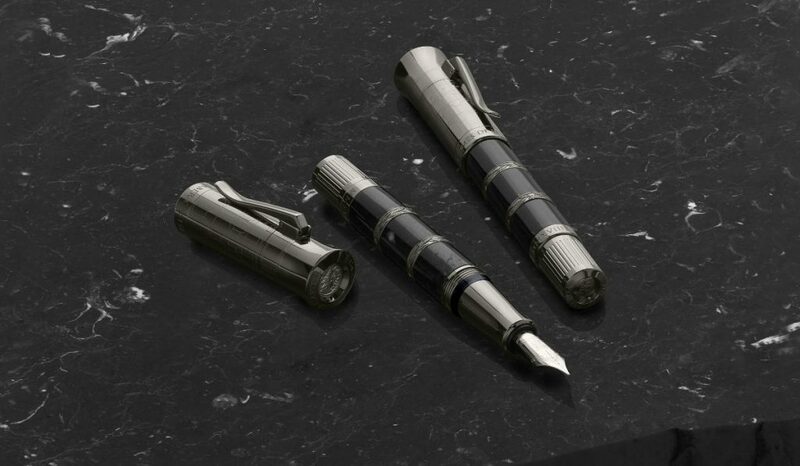 The pen is also available in a limited 400-piece black edition (pictured) that features Nero Marquina marble from Iberia, anthracite grey titanium on the barrel and cap, and a ruthenium plated gold nib.